Bananas are considered herbaceous plants. They are originally found in tropical South and Southeast Asia. They are grown in over 107 countries primarily for their fibrous, sweet, creamy flesh fruit. Bananas naturally contain Vitamin C, riboflavin, Vitamin B-6, iron, magnesium, calcium, and potassium, to name only a few. A banana is a fruit that is considered an antioxidant. Antioxidants generally help in slowing down the aging process. Bananas also help the body’s enzymes during metabolism and aids in the proper functions of the body’s organs and tissues. A large banana has about 100 calories. It also has a large amount of digestible sugar. This makes the banana a great source of immediate energy. After an exhausting activity, a banana is an excellent fruit to take. It is known to help regain energy fast. You may observe that tennis players often eat a banana during breaks in a tennis match. This explains why bananas are popular among athletes. Constipation is a situation where the food that should normally be moving through the intestines is abnormally slow causing fewer and less complete bowel movements. Apparently bananas cause constipation if eaten unripe. The scientific explanation on this is the high presence of the bitter plant polyphenol called tannin. Tannin acid hardens the proteins in the intestines. 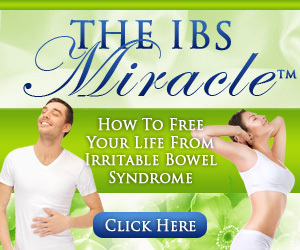 It slows the contractions that occur constantly throughout the digestion process. This causes constipation. Unripe bananas are also high in starch. High amount of starch also causes constipation. Thus, too much unripe banana intake contributes to constipation. However, tannin content decreases as the banana ripens. Hence, it is better to take a ripe banana to avoid constipation. Bananas contain pectin which acts as a fiber that can be easily dissolved during digestion. It is water-absorbent and generally calms a problematic stomach during digestion. Bananas work best to ease constipation if taken with water. It would be helpful to mention the subject of diarrhea alongside the subject of constipation. Diarrhea is the exact opposite of constipation. It is a situation where the contractions involved during the digestive process is too fast or food is moving too quickly through the digestive system. Diarrhea is often caused by constant exposure to emotional stress, irritation to the intestinal lining or even harmful bacteria. It could also be a reaction to frequent constipation. Oftentimes, diarrhea leads to loss of important electrolytes in the body like potassium. Potassium is important for the heart to function properly. One cannot go wrong in choosing bananas when suffering from diarrhea problems. 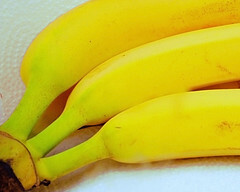 Bananas replace the body’s supply of potassium. In conclusion, bananas can both cause and ease constipation. Knowledge of when to properly take it can lead to the full use of its natural benefits.